With the Founder's Packs gone, En Masse is now selling combat-enhanced Kritika Online pets in its shop. 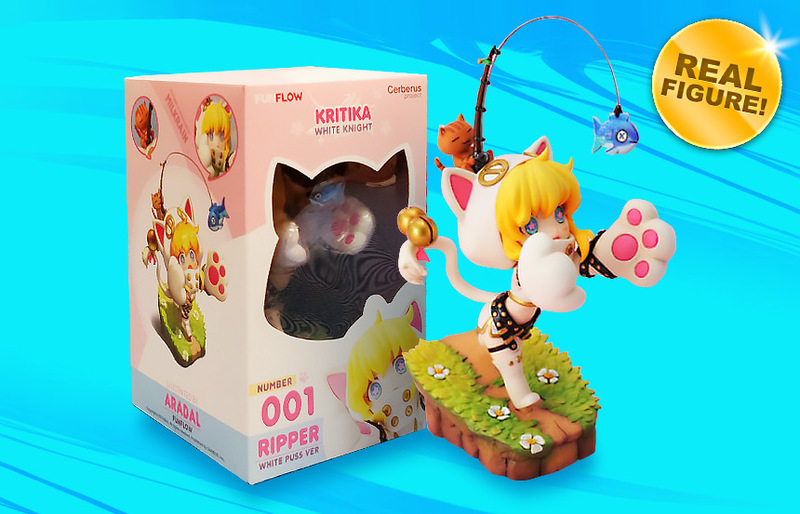 The three available bundles are part of a promotion called Furever Friends, with the higher tier offering a Mini Catspaw collectible PVC statue standing at 7” (18 cm) tall. This statue is limited to 400 pieces, so hurry up if you want one. The packs start at $44.99 with the Furst Timer Pack, while the FurRunner Pack costs $59.99. The FurEver Home Pack, which includes the limited Catspaw figurine will cost you $129.95, but it's so damn cute. Is it worth the asking price? That depends on what kind of Kritika Online fan you are. These packs include in-game permanent Kritika Online pets that are ready to fight by your side. There is a total of four pets spread across the three packs, which are Bijou, Kachu, Mini-Catspaw and Mounted Mini-Catspaw. Today's update also brings a newly revamped Arena which ups the challenge from 10 to 120 levels for players of level 65 and above. You can see the full list of additions and improvements here.